Abstract: Pinal Dave shares some of his tips and techniques that utilize some of the capabilities available with SQL Server Management Studio (SSMS) that can help you enhance your productivity. DBAs face many challenges working with SQL Server. A lot of time is spent managing and troubleshooting this tool and there is not enough time to appreciate or explore what the tool has to offer. In this whitepaper, Pinal Dave shares some of his tips and techniques that utilize some of the capabilities available with SQL Server Management Studio (SSMS) that can help you enhance your productivity. Pinal Dave is a Developer Evangelist. 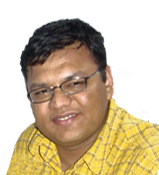 He has authored 11 SQL Server database books, 14 Pluralsight courses and has written over 2900 articles on the database technology on his blog at http://blog.sqlauthority.com. Along with 10+ years of hands on experience he holds a Masters of Science degree and a number of certifications, including MCTS, MCDBA and MCAD (.NET). His past work experiences include Technology Evangelist at Microsoft and Sr. Consultant at SolidQ.